Starter: Complete the tasks on this worksheet. Agriculture is by far the World's biggest user of water. Water is used for animals, but the majority is used for irrigation. The amount being used by agriculture is also increasing as the World's population increases and the demand for food increases. Household or domestic use in the next biggest user. The most water is usually used in toilets, but also washing machines and shower/baths use significant percentages. Industry and energy production also uses large percentages in manufacturing and cooling processes. The fourth biggest user is actually water lost through evaporation and leaks in reservoirs. Economic water scarcity: This is when water is available, but for some reason it is inaccessible or unusable. This might be because it is groundwater that is expensive to extract or that the cost of transporting it is too expensive or simply that the supply of water has become polluted. Physical water scarcity: This is when there is not enough water available. The most common reason for this is low precipitation rates. Task 1 - Copy of the two definitions above into the worksheet below and highlight. b. 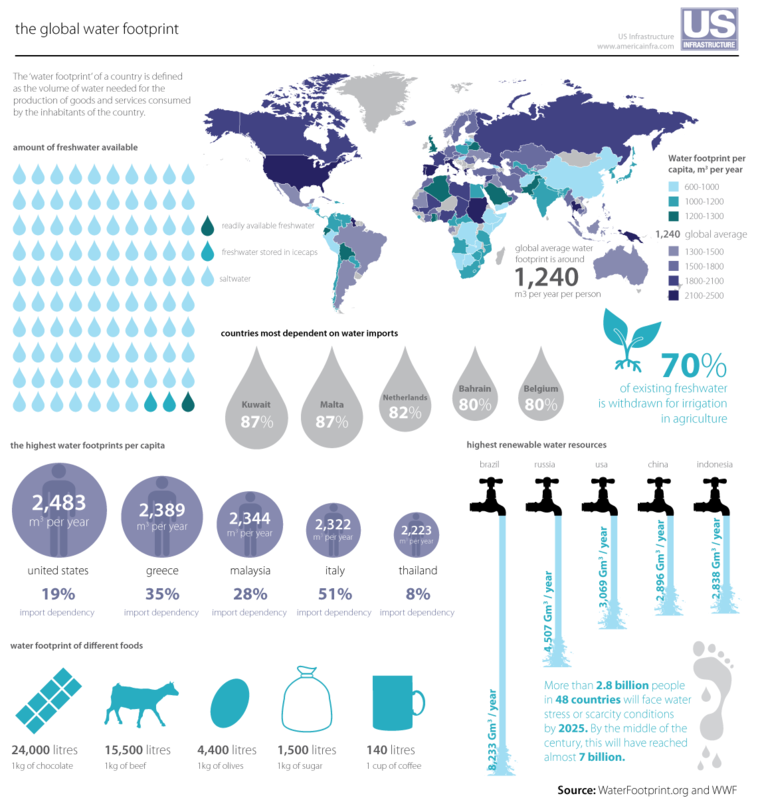 Describe the distribution of countries with above global average water footprints. c. Why is Kuwait the most dependent country on earth for water imports? Test Yourself - Using the information on this page, complete question 5 of the 2013 and question 6 of the 2012 exam papers by clicking the blue tabs below. i. Which world region uses the highest % of water for agricultural purposes? Can you think of two reasons why? ii. Which world region uses the highest % of water for domestic purposes? Can you give two reasons? iii. Which world region uses the most water for industrial purposes? Can you give one reason? iv. Which is the only world region not the follow the global average trend of % of water used for agriculture? There is no new case study work to complete here. We have already covered this section in the Deserts work in the Natural Environments unit where we looked at water shortage (drought) in the Sahel region of Africa. Your revision for that will also come in handy for this unit of work too. Click on the image below to be taken back to the work on drought (you need to scroll down towards the bottom of the page). 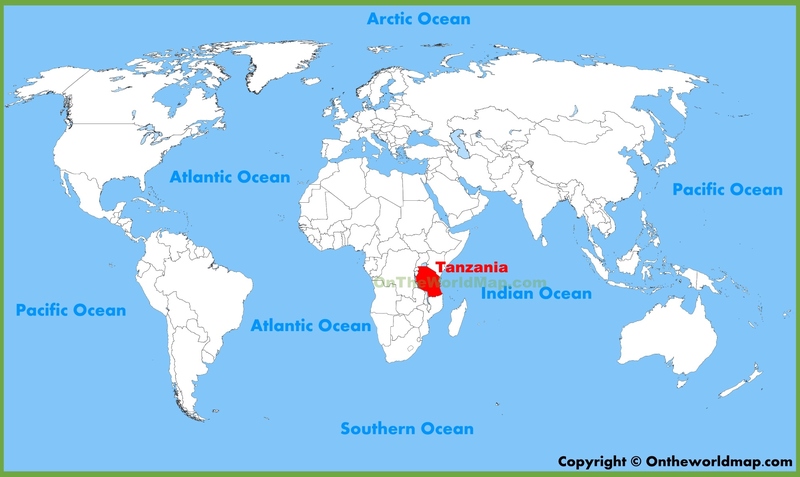 ​Objective: ﻿To find out what water issues arise in Tanzania and how improved water supply can impact on the health and well-being of the population. To complete this task, please use the work booklet above. Step 1 - Click on this link to access the information needed to complete the first two pages of notes. Step 2 - The video above provides you with the information for the rest of the note taking. Step 3 - How does this look in the examination? (Paper 1). Complete the exam question on the back page referring to the mark scheme for guidance.